Recently, my husband and I have both challenged ourselves to doing new things. My challenge has been this blog and I’m feeling pretty good about things thus far. Ironically, while my challenge has been about cooking, eating and sitting on my couch, writing, his has been a little more active. My husband is one of those people that is notoriously difficult to shop before because he never seems to want or need anything (don’t worry, I balance that out quite well.) The famous story involves a shopping trip when he was a child. His grandmother took him and his sister shopping and told them that they could pick out one toy each. His response: “no thank you grandma, I don’t need anything.” His sister, who is a little more like me, took the opportunity to ask if that would enable her to get two gifts! For this reason, I always try to note when he says he likes something so that I can add it to my list for birthdays and holidays and so that I can tell others what he would like. 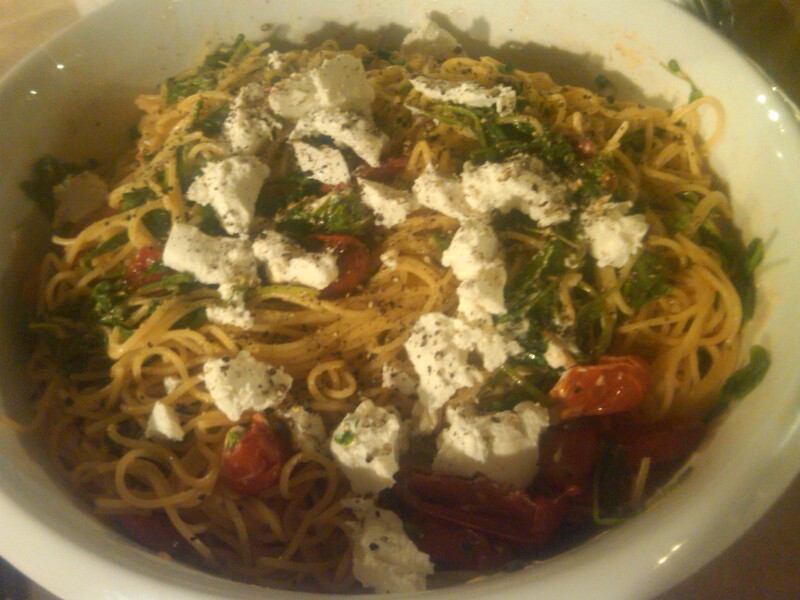 One of the most amazing pasta dishes I’ve ever made has been a fresh angel hair pasta tossed with local baby arugula, heirloom tomatoes and fresh chevre from Green Aisle Grocery, an awesome little grocery on Passyunk Avenue. If you haven’t been there, check it out! The owners, Adam and Andrew Erace are super nice and the store is dog friendly. You can’t beat that! They’re also the only store in the city at which you can buy Zahav hummus. YUM! Anyway, I was hoping to recreate the pasta dish but didn’t get a chance to stop at Green Aisle before dinner so I made do with what I had. 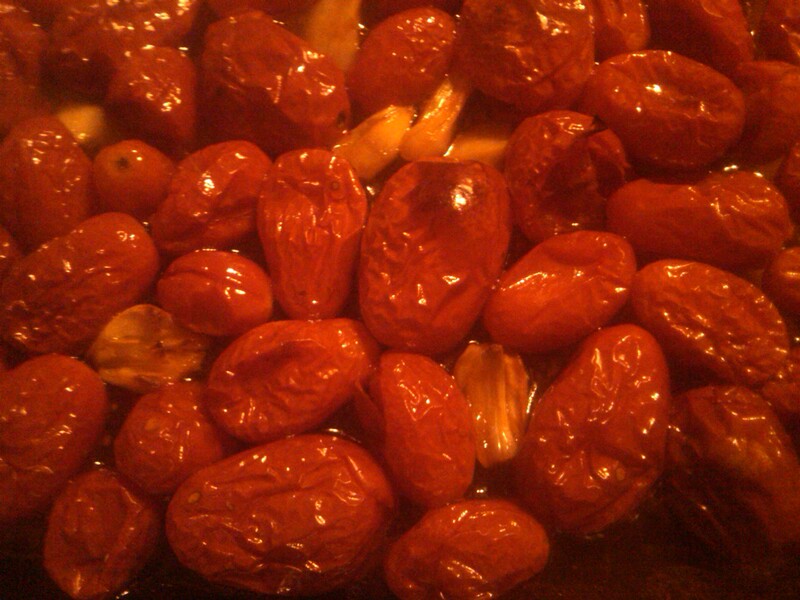 I started by roasting grape tomatoes in the oven at 400′ with lots of garlic and olive oil for about 30 minutes. The picture isn’t the best, but the caramelization that occurs in the oven is absolutely out of this world (not to mention the smell!) You also end up with a sort of tomato-infused olive oil. I know it’s the height of tomato season so please don’t hate on me for using grape tomatoes that probably came from somewhere far away. We usually eat tomatoes from the Farmers Market only, but there’s something about roasted grape tomatoes that drives me crazy–and the sale at Iovine’s didn’t hurt either. 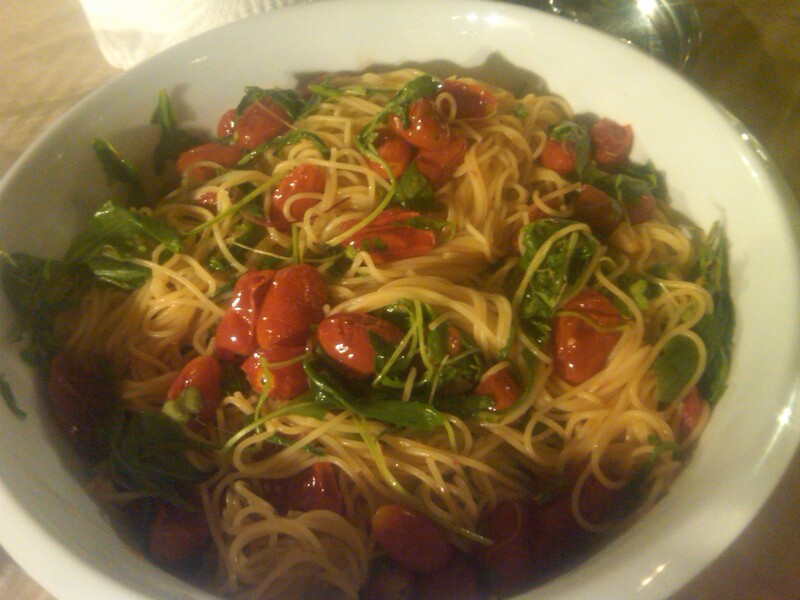 While the tomatoes were roasting, I boiled water for the capellini and prepared my greens. 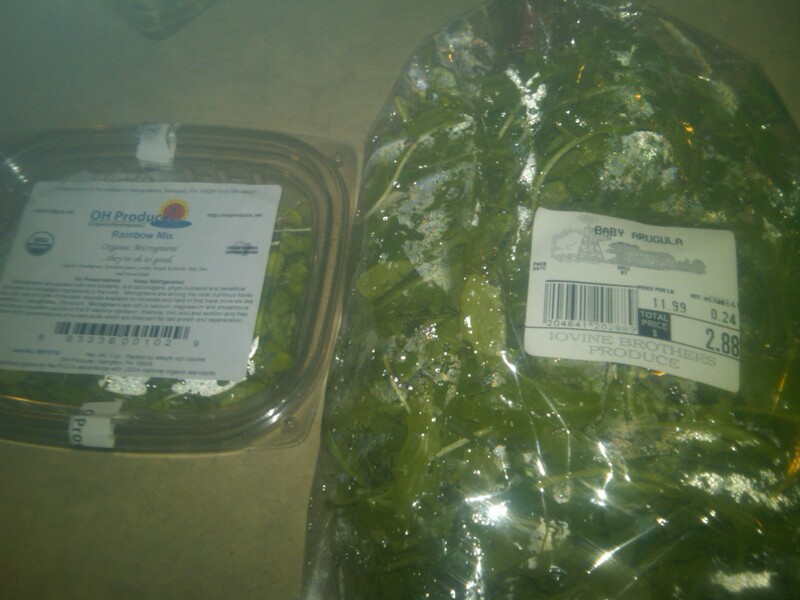 I used baby arugula and some sort of impulse buy microgreen mix from Iovine’s. 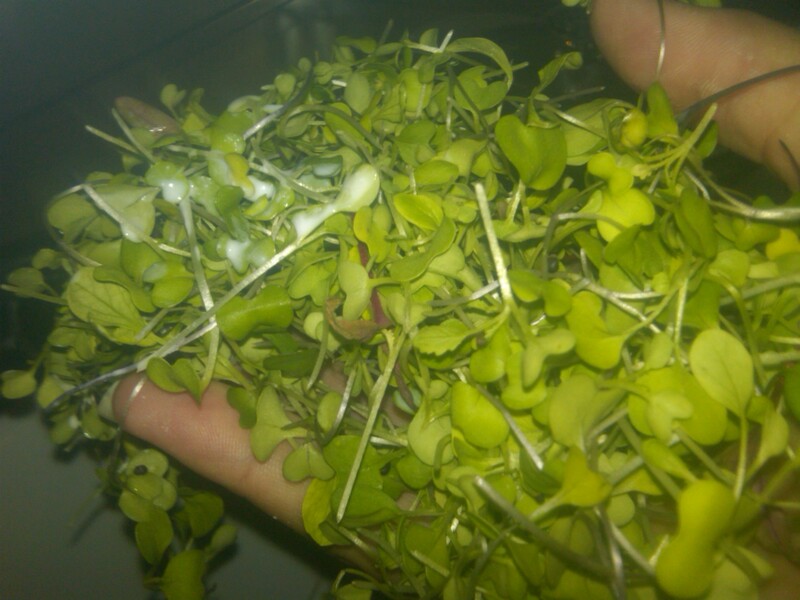 Aren’t the microgreens gorgeous? 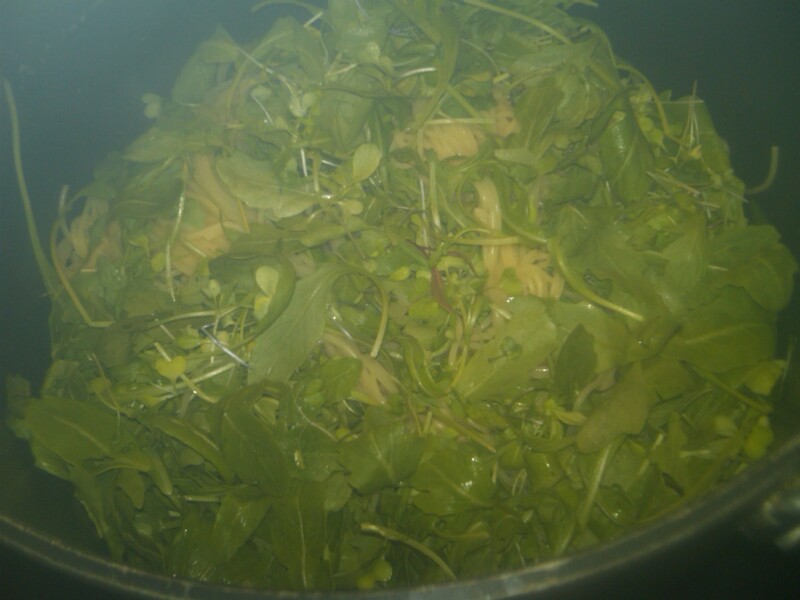 After draining the pasta, I simply tossed in the greens and mixed until they were slightly wilted. Oh wait, can’t forget the cheese. Goat cheese makes everything taste better. 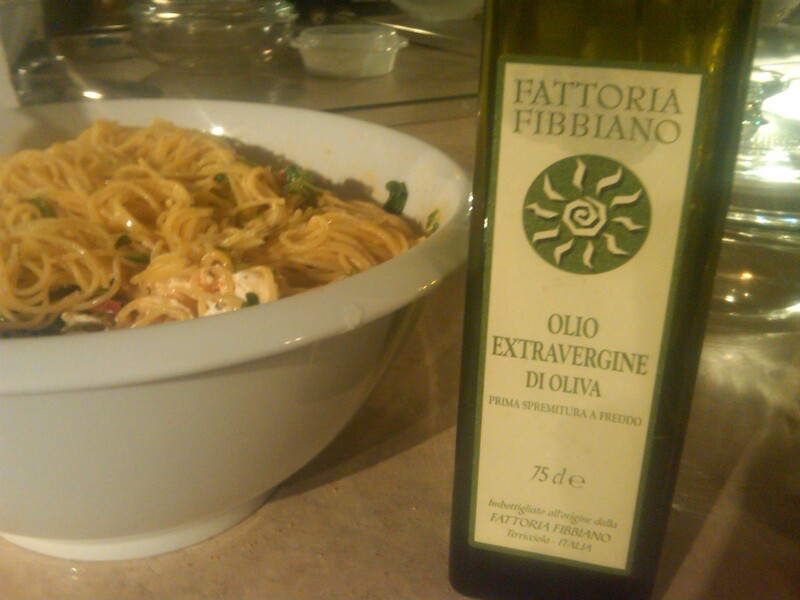 Top it with a generous splash of olive oil from Fattoria Fibbiano, the amazing agriturismo where we were engaged in 2008, and we were ready to eat! The next day, my husband woke up early and joined almost 2,000 of his closest friends to ride the challenging 63 mile course. He finished the hilly ride in just over 5 1/2 hours and I couldn’t be more proud.